British construction firms are making a cautious start to 2019 after slowing their house-building plans late last year in the face of Brexit uncertainty, an industry body said on Thursday. Builders registered plans to build 40,513 new homes between October and December across the United Kingdom, up 2 percent from the same period in 2017, the National House-Building Council said. That contrasted with 15 percent growth in the third quarter, although that surge was boosted by catch-up work after wintry weather in early 2018. NHBC housing starts in England dropped by 1.1 percent in 2018 to 137,150 — suggesting that the industry as a whole was only constructing just over half the 300,000 homes a year which the government wants by the mid-2020s to reduce England’s housing shortage. Registrations in London, once the engine of home-building in Britain, were down by 10 percent in 2018, reflecting the Brexit uncertainty in the city which is home to many people from other European Union countries and to Britain’s huge finance industry. Prime Minister Theresa May says she wants more concessions from her fellow EU leaders, raising the prospect of an economically damaging no-deal Brexit on March 29. Estate agency Savills predicts house prices in London will rise by 4.5 percent in total over the next five years, slower than other regions. Prices in northwest England and in Yorkshire and Humberside were seen up about 20 percent. Those forecasts were based on the assumption that Britain avoids an economically damaging no-deal Brexit. Last week, mortgage lender Nationwide Building Society said annual house price growth slowed to just 0.1 percent in January, the weakest in nearly six years. The NHBC home building registration figures also showed a rosier picture in many regions than in London rose, including a 20 percent increase in Yorkshire and Humberside. The NHBC data covers around 80 percent of new homes built in the United Kingdom. British builders have cut back sharply on the number of new homes they plan to start in London, taking the shine off industry data which otherwise remained near its strongest since the global financial crisis. Builders reported plans to start work on 12 percent fewer homes in London in the three months to June than a year before, the National House-Building Council, an industry body that insures about 80 percent of new construction, said on Thursday. Just 2,917 homes were slated for construction, the smallest number for this time of year since the depths of the financial crisis in 2009 and less than half the number started a year before 2016’s Brexit vote. London recorded the most new housing starts of any British region between 2010 and 2015. But since then its housing market has weakened due to concern that Brexit will hurt its financial sector and its appeal to foreign investors, as well as higher purchase taxes on homes costing over 1 million pounds. Housing starts increased in most other parts of the United Kingdom during the second quarter. But the decline in London meant the overall total dropped 3 percent on the year to 38,978, its lowest for the time of year since 2014. House prices in London dropped by 1.9 percent on the year in the second quarter of 2018, the only region of the United Kingdom to show a fall, according to figures from mortgage lending Nationwide Building Society. Last month London-focused housebuilder Berkeley (BKGH.L) warned pre-tax profits would fall by 30 percent this year, blaming a lack of large development sites as well as higher property purchase taxes and the effect of Brexit. Housebuilders cut back on buying large sites in 2013 and 2014 when prices started to rise after the financial crisis, which now was reducing the flow of new homes, Berkeley said. Shortages of European construction workers are also pushing up construction costs in the British capital, according to a separate report from the Royal Institution of Chartered Surveyors, also released on Thursday. “Brexit and the uncertainty of labour from EU countries has affected labour resources on construction sites. This, in turn, has made tender sums increase without increasing contractor profits,” RICS member Christopher Mills said. New housing starts in the United Kingdom overall rebounded by 6 percent from the first three months of 2018, when unusually snowy weather delayed work. NHBC’s measure of quarterly housing starts slumped below 17,000 during the depths of the financial crisis, before recovering to peak at 42,423 in early 2017, helped in part by government subsidies for buyers of newly built homes. Boosting house-building has been a stated priority for Britain’s government as it tries to address concerns among many voters about a lack of affordable housing in many areas. But many in the industry say little has been done to speed up the local government planning process that makes it slow to get approval for many projects. RICS said difficulties financing projects were also causing growth to slow. “Anecdotal evidence suggested that the housing market slowdown, coupled with ongoing ambiguity with the Brexit negotiations, is weighing on investment decisions,” RICS said. Output in Britain’s construction industry fell at the fastest annual pace for five years in January as a slowdown in commercial developments and house-building hit the sector hard. Figures from the Office for National Statistics show that output fell by 3.9%, the biggest year-on-year decline since March 2013. Monthly figures also made for grim reading, falling 3.4% between December and January, while new orders decreased by 25% in the fourth quarter. Economists had expected a monthly decline of just 0.5%. “Construction continues to be a weak spot in the UK economy with a big drop in commercial developments, along with a slowdown in house-building after its very strong end to last year,” ONS senior statistician Ole Black said. Investment in commercial developments, particularly in London, has fallen off a cliff since the Brexit vote as higher construction costs and uncertainty has seen developers delay new schemes. Samuel Tombs, chief UK economist at Pantheon Macroeconomics, said: “Commercial work will continue to fall if, as we expect, progress in Brexit talks remains slow. The ONS data dump also included figures which show that Britain’s industrial production rebounded in January following a boost in manufacturing and North Sea oil and gas production. Manufacturing grew 0.1% in January month on month, representing the ninth month in a row of growth for the first time since records began in 1968 as factories benefit from strong global demand and a weak Brexit-hit pound. Industrial production grew 1.3% in January, with growth driven mainly by the reopening of the Forties oil pipeline, which was shut down for three weeks after a crack was discovered in December. Mining and quarrying provided the largest upward contribution, increasing by 23.5%. “Manufacturing has recorded its ninth consecutive month of growth but with a slower start to 2018. Total production output continues to advance, bolstered in January by the Forties oil pipeline coming back on stream after December’s shutdown,” Mr Black added. Figures also showed the UK trade deficit widen by £3.4 billion in good and services to £8.7 billion, with the ONS citing rising oil prices making for more expensive fuel imports, which rocketed 21.4%. This contributed to a £3.2 billion widening of the trade in goods deficit. Five hundred new council homes will be built in a borough over the next three years as part of a major investment to boost the housing stock. Sandwell Council will embark on one of the biggest council house building projects in years in a bid to tackle its growing waiting list. Bosses said housing was among their main priorities, with £70 million to be ploughed into new developments until 2021. Extensions to existing council properties are also planned. CCTV could also be rolled out at high-rise blocks as part of the improvements in a bid to tackle antisocial behaviour. The authority is also planning to create hundreds of school places over the coming years to deal with the borough’s rising population. Some council house projects are already in the pipeline, including plans for 63 properties in Strathmore Road and Henn Street, Tipton, and another 50 in Friar Park, Wednesbury. Wednesbury councillor Peter Hughes said the housebuilding programme was a signal of the council’s intent to improve living standards. He said: “It has been decades since local authorities have built to the extent that we are. “Sandwell is probably leading the way in terms of local authority social house building. Councillor Hughes said despite the huge outlay on creating new homes, it would also prove beneficial for the council. The house building drive comes after councillors gave the green light to plans that will see around £52 million spent on external improvements to 13 high-rise blocks across Oldbury, Rowley Regis and West Bromwich starting this year. First in line is Alfred Gunn House in Oldbury, with improvements also planned for Darley House, Moorlands Court, St Giles Court, Addenbrooke Court and Wesley Court in Rowley Regis; Heronville House, Paget House and Wyrley House in Oldbury and Holly Court, Oak Court, Allen House and Boulton House in West Bromwich. Britain’s third largest economic sector, the construction industry, has been mired in recession for three consecutive quarters. Economists are now looking for signs this downturn eased during February. The UK construction industry enjoyed a surprise boost during February, according to the latest IHS Markit Construction PMI, although “there is little sign of an imminent turnaround in overall growth momentum”. February’s IHS Markit PMI index rose to 51.4, up from 50.2 in January, when economists had forecast a much more meagre increase to 50.5. This marks the first rise for the index in three months and, although IHS say the growth outlook remains bleak, it may provide some hope that the three-quarter downturn in the industry is now easing. The PMI is a survey that measures changes in business conditions in the construction industry from month to month. It asks respondents to rate current conditions across a range of areas including employment, production, new orders, prices, supplier deliveries and inventories. A number above the 50.0 level indicates industry expansion while a number below is consistent with contraction. A sudden jump in commercial construction activity was the biggest contributor to February’s gains which, expanding at its fastest pace since May 2017, is notable because the commercial segment made the greatest contribution to 2017’s downturn. “Civil engineering was the worst performing category of construction work, with activity falling at the sharpest pace for five months. A soft patch for house building continued in February, meaning that residential work remained on track for its weakest quarter since Q3 2016,” IHS Markit says. PMI surveys frequently overestimate economic activity and IHS Markit Construction survey is no different. The construction survey has printed only one number that is consistent with an industry recession during the last 12 months yet official output data shows the industry has contracted for three separate quarters. Nonetheless, February’s report rhymes with the changing tone of the latest Office for National Statistics data, covering December, which showed the three-quarter downturn easing a touch in the final month of last year. Construction is Britain’s third largest economic sector. Much of its earlier weakness was the result of commercial construction being hindered by Brexit uncertainty and oversupply of new office space in key hubs like London. Residential activity has remained robust, in broad terms, although it has softened a touch of late. 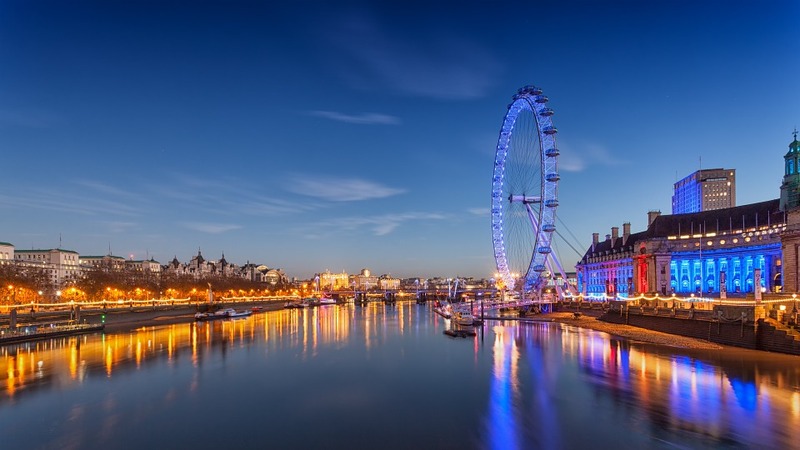 The London market has been an exception to this as stamp duty tax changes and the outcome of the Brexit referendum in June 2016 have both hit demand for prime real estate in the capital. Friday’s data comes closely on the heels of the IHS manufacturing PMI, which showed the manufacturing index slipping for the third month running as production slowed in February while export order book growth moderated a touch. It also comes after a flurry of other gloomy news for the UK, the economy and its currency. Nationwide Building Society data released Thursday showed UK house prices falling 0.3% in February, following a brief and surprise pickup in January. “Month-to-month changes can be volatile, but the slowdown is consistent with signs of softening in the household sector in recent months,” Robert Gardner, chief economist at Nationwide, wrote in a note accompanying the figures. The mortgage data followed an Office for National Statistics report released last week, showing the UK economy grew slower than was previously thought during the final quarter of 2017. ONS says UK economic growth was in fact 0.4% during the final quarter, not the 0.5% previously suggested by the ONS, dealing a blow to observers who had cheered a last minute lift in UK economic momentum during 2017. The annual pace of growth was also downwardly revised, from 1.8% to 1.7%, with the revised number marking a fall from the 1.9% growth seen back in 2016. That was the result of downward revisions to industrial production figures, due to the closure of a key oil pipeline in the North Sea, and business investment having ground to a standstill. This data came closely on the heels of the fourth quarter labour market report, which showed the unemployment rate rising for the first time since July 2015. The ONS attributed this to a rise in the participation rate rather than an increase in job losses. All of this matters for the Pound because it could impact on the Bank of England and its thinking about whether the UK will be able to sustain another rise in interest rates. It hiked the base rate by 25 basis points already, to 0.50%, in November. For what it’s worth, the fourth quarter growth performance was in line with the BoE’s forecasts and it’s well known now the bank’s primary concern is inflation, which sits stubbornly at 3%. So far, the bank says it’s taken heart from the broad fall in unemployment over recent years, which is now beginning to push wages higher, and because of this it is less willing to play it cautious by holding back on interest rate rises. Nonetheless, a further deterioration in UK economic conditions, particularly around unemployment and Brexit, may change this. There is enough space on brownfield land to build at least a million new homes, research by the Campaign to Protect Rural England (CPRE) has found. The analysis of Brownfield Land Registers reveals that over two thirds of these homes could be deliverable within five years, and many of these sites are in areas that have a high need for housing. CPRE found that the 17,656 sites identified by local planning authorities, covering over 28,000 hectares of land, would provide enough land for at least 1,052,124 new homes, which it says could rise to over 1.1 million once all registers are published. According to CPRE, this means that three of the next five years’ worth of government housing targets could be met through building on brownfield land that has already been identified. This would ease pressure on councils being pushed to release greenfield land, and would mean that less of the UK’s countryside would be used for new builds. London, the north west, and the south west were identified as having the highest number of potential deliverable homes, with the new registers giving minimum housing estimates of 267,859, 160,785 and 132,263 respectively. The registers found sites for over 400,000 homes that have not yet come forward for planning permission, despite the “urgent need” to move sites towards development. More than a third of these sites are on publicly owned land, and CPRE argues that as public authority developments should give a significant opportunity to provide affordable homes, it provides an opportunity for homes to be built on brownfield land to help towards local need. Additionally, further analysis showed that there is brownfield capacity wherever there is threat to the green belt. It found that in a number of areas with an extremely high number of green belt sites proposed for development, local authorities have identified enough brownfield land to fulfil up to 12 years of housing need. 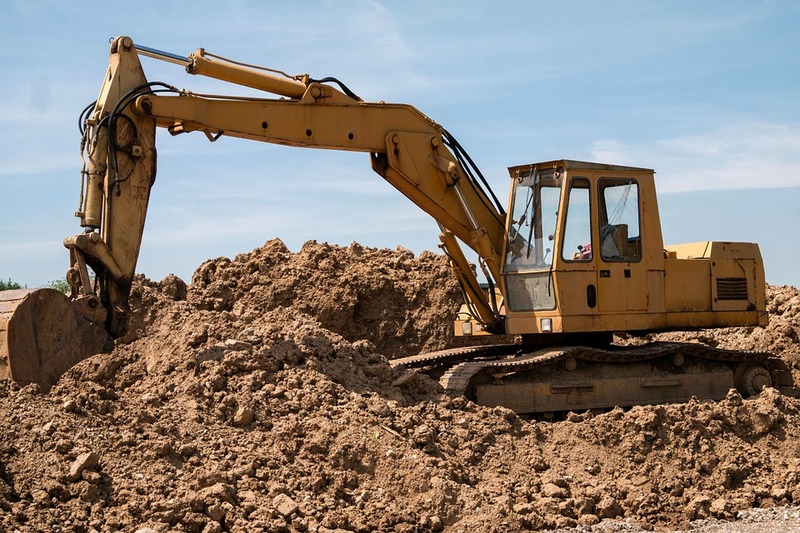 Rebecca Pullinger, planning campaigner at the Campaign to Protect Rural England, called it “fantastic news” that authorities have identified so many brownfield sites that are ready to be developed. She said: “Contrary to what the government, and other commentators have said, brownfield sites are also available in areas with high housing pressure. She called on the government to amend its guidance to ensure that councils have identified all of the brownfield sites in their areas, and to improve incentives to build on these sites and ensure that they follow through on their commitment for all new builds to be on brownfield first. In order to make use of suitable brownfield land, CPRE has called on the government to use the upcoming review of the National Planning Policy Framework (NPPF) to introduce a “brownfield first” approach to land release and granting planning permissions for development. It argues that local authorities must be empowered to refuse planning permission for greenfield sites where there are suitable brownfield alternatives. Property finance lender LendInvest has completed a £16m financing deal with established development finance borrower, Yogo Group, in just three weeks. The development finance loan will fund the part-conversion and rebuild of a Grade II listed building, the former Thomas Lipton Care Home, as well as the construction of new units. LendInvest completed this loan in record time of three weeks from initial introduction to site purchase, after the borrower was let down at the last minute by another lender. If finance had not been secured immediately the borrower would have lost the site to another potential buyer. Steve Larkin, director of development at LendInvest, said: “Time is undeniably crucial for any developer. In this instance it was make or break, with the developer facing the prospect of losing a coveted site to other purchasers having been let down by their initial lender. “Our team went the extra mile to ensure that this did not happen again, delivering fast, and affordable finance in record time. After completion, the project in its entirely will deliver 24 apartments and six houses, ranging from one to four bed units of bespoke design and available for first-time buyers. The site is in Southgate, Enfield, North London and sits in five acres of its own grounds, providing privacy for prospective buyers and tenants. George Philippou, managing director of Yogo Group, added: “Yogo Group is delighted to be working with LendInvest to deliver another one of its high quality residential developments in a unique enclave of Southgate. “We would like to express our immense gratitude to LendInvest who have been extremely supportive of Yogo Group not only by funding the majority of the scheme but also by achieving the unachievable and ensuring a quick and smooth three week completion. Daniel O’Neil of SPF Private Clients introduced and advised on the deal. PLANS have been revealed for a new £25 million ‘build to rent’ apartment building in the east bank area of Belfast city centre. The proposal, being brought forward by a joint venture between the local property developer, Vinder Capital, and Oisin Quinn of London-based developer Aldgate Developments, is the second of its kind in Belfast, following the planned 19 storey development on Academy Street in the city. 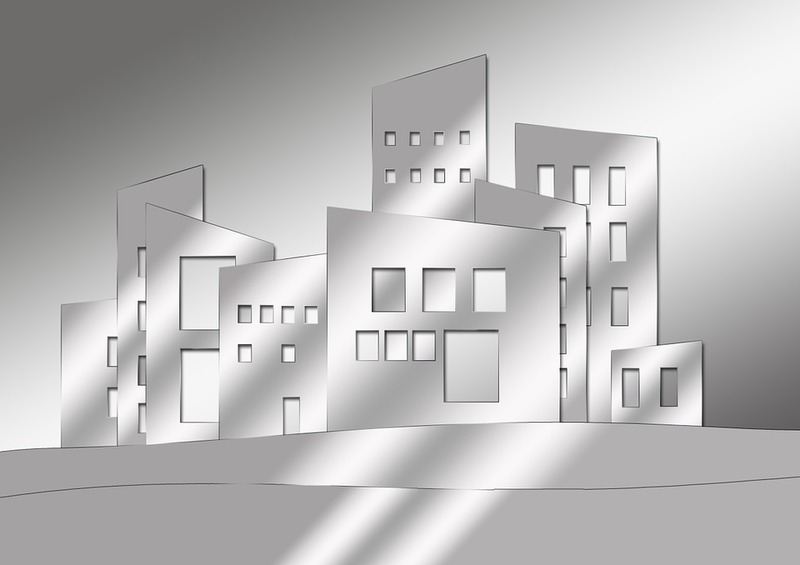 The ‘build to rent’ model sees apartments purpose-built for rental only, with ownership retained by the building owner. A management company then provides additional services such as 24/7 security, communal space and cafes for long-term tenancies. Aimed at the ‘millennial’ generation, who choose to rent or can’t yet afford to buy, it has already become a successful model in other UK cities such as London and Manchester. The proposed Belfast development, to be known as ‘The Residence at Quay Gate’ will be located on a current surface level car park at Scrabo Street in an area south of the Lagan Bridge. The proposed building, designed by Belfast based LIKE Architects, will provide over 150 one and two bedroom apartments in the city centre set overlooking the river Lagan and the Titanic Quarter. Gavin McEvoy from the joint venture behind the scheme believes the proposal offers potential residents a unique living experience in the city. “Build to rent is an exciting opportunity to introduce premium services and a customer focus to apartment living which is not typically found in build for sale apartments in the Belfast market. The Residence at Quay Gate will include a dedicated relaxation area, a state of the art gymnasium, work spaces and meeting rooms and will include an integrated IT system,” he said. The developers will undertake a 12 week pre-application community consultation before submitting their plans to Belfast City Council. A public exhibition will be held on February 7 at the Odyssey Pavillion. Earlier this month Lacuna/Watkin Jones, the joint venture behind multiple student accommodation schemes in the city centre, submitted a planning application for 105 one and two bed apartments on Academy Street in the Cathedral Quarter. The build to rent development includes an active ground floor with communal space for tenants, management facilities and proposed space for a café or retail use. More than 160,000 new homes were registered to be built across the UK last year – the highest number for a decade, according to industry figures. A total of 160,606 homes were registered during 2017, up 6% on the previous year and the highest since pre-economic downturn levels, the National House Building Council (NHBC) said. It was the highest annual figure since 198,929 homes were registered in 2007. The NHBC’s registration statistics are taken from builders who are responsible for around 80% of homes constructed in the UK. New home completions also increased by 4% compared with 2016, reaching 147,278 last year. Nine out of 12 UK nations and regions saw an increase in registrations, with the East Midlands, Wales and North West England among the growth hotspots. Figures for London showed the rate of new homes being registered was slightly up on 2016, marking the first increase year on year in the capital since 2014. Within 2017’s annual total of new homes being registered, those in the private sector grew by 3% annually, with 118,825 new homes registered, and the affordable sector increasing by 14% to 41,781 – the highest yearly total for the sector since the NHBC’s electronic records started 30 years ago. NHBC chief executive Steve Wood said: “Our figures show the market has delivered strong growth resulting in the highest new home figures for a decade and growth across the majority of the UK, including London, for the first time since 2014. Plans to build 71 new flats with just 19 parking spaces in the centre of Tonbridge have been unveiled. 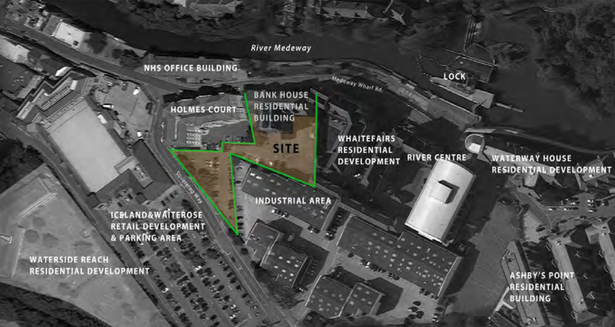 F Estates, which specialises in affordable rented property development, wants to extend the existing block at The Bank House on Medway Wharf Road. But some residents have come out against the plans saying the “overcrowding” would “ruin” the riverside area with bedsits. The five-storey building would incorporate 71 rented studio flats which, when added to the existing 64, would mean a total of 135 on site. The parking provision would increase from 52 to 71 spaces. A similar scheme for 72 flats on the plot was thrown out by Tonbridge and Malling Borough Council in September on the grounds of overdevelopment. But in a statement to the council, planning consultants Barton Willmore claimed previous concerns had been addressed. It said: “The proposed development seeks to provide a high-quality living environment, extending the successful conversion of the existing Bank House building undertaken by the applicant. The statement adds 40 per cent of the flats would be affordable homes let out at 80 per cent of market rate. Despite the assurances, the plans are courting controversy locally with residents citing over-development, a lack of parking spaces and fears the building would block out neighbouring properties’ sunlight. One objector, whose name has been redacted from planning documents but lives in nearby Cannons Wharf Road, said: “I am shocked and disappointed that the same company that wishes to build a 14-storey building down our road now wishes to double the size of an existing building and again not provide adequate parking. The additional traffic will burden a local infrastructure already under strain.